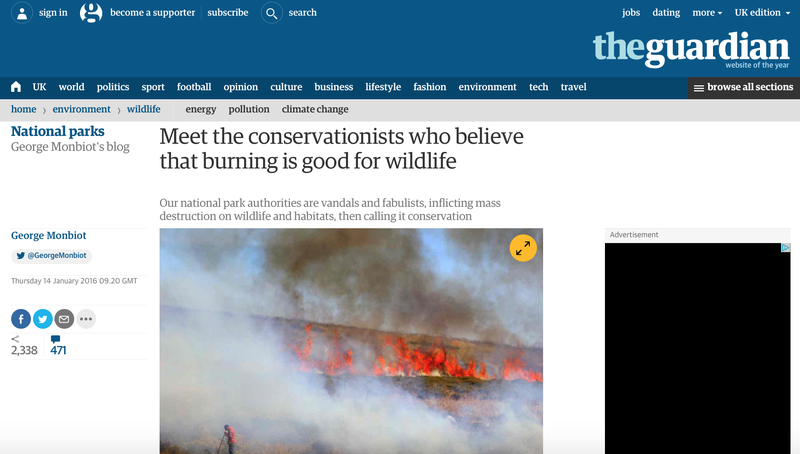 Back on the 14th January this year George Monbiot published an article in the Guardian entitled ‘Meet the conservationists who believe that burning is good for wildlife’ see here. He argued that burning (also known as swaling on Dartmoor) is bad for wildlife as it destroys habitats and stops scrub and trees from growing. George had previously been on Dartmoor the previous October where he was invited to address the UK National Parks at their biennial meeting – he talked about re-wilding, how the moors of the UK had been ‘sheepwrecked’ and why he thought swaling was a bad idea – you can watch his talk here. Burning as a management tool has been used on Dartmoor for over 8000 years – it was the burning of the forest by Mesolithic Man and the subsequent grazing that followed that has in part created the cultural landscape that we know today. Tom Greeve has published a historical review of swaling on Dartmoor – see here and you can also download a report of a training day held on Dartmoor between English Nature and the National Trust in 1998 here. In March Monbiot was further incensed as a paper ‘The role of fire in UK peatland and moorland management: the need for informed, unbiased debate‘ (see here) which was to be published by the Royal Society in May unexpectedly got into the public domain. The paper criticised Monbiot’s article on swaling on Dartmoor – in addition the ‘leaked’ paper was hijacked by a group called ‘You Forgot the Birds’ which had been set up by pro grouse moor advocates to attack the RSPB. He responded to the paper in an article entitled ‘Bonfire of the Verities’ – see here. What a muddle and how ironic! Well, on the 16th December the same group of authors who wrote the original paper have published a second one to address the issues raised by Monbiot in March. That paper is titled ‘Informed debate on the use of fire for peatland management means acknowledging the complexity of socio-ecological systems‘. You can download that paper here. It is definitely worth reading. I have provided the abstract of the paper below. The effects of fire and its use on European peatlands and heaths are the focus of considerable research and debate due to the important services these ecosystems provide and the threats they face from climatic and land-use change. 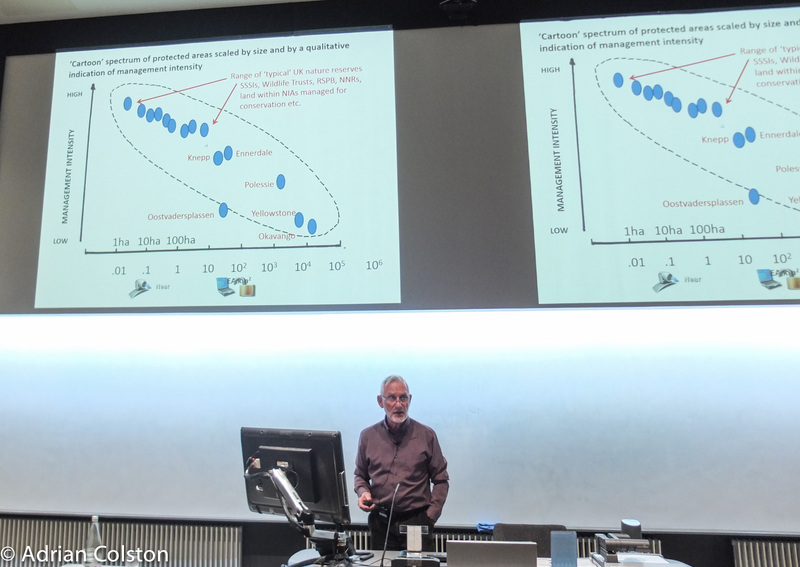 Whilst in some countries ecologists are actively promoting the restoration of historic fire management regimes, in the UK the debate has become increasingly acrimonious. Positions seem entrenched between continuing the intensive form of management associated with grouse moors or ceasing burning and seeking to eliminate fire altogether. In a recent paper we argued that participants’ positions appeared influenced by political and philosophical beliefs associated with, for example, private land-ownership, hunting, and associated conservation conflicts such as raptor persecution. 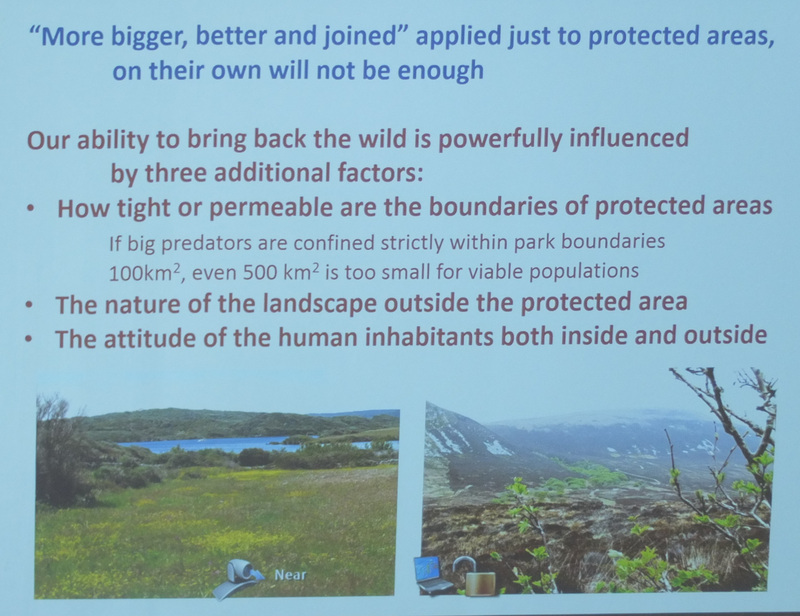 We also suggested there was inadequate engagement with key concepts and evidence from fire and peatland ecology. We argued that management debates should aim to be inclusive and evidence-based, and to understand the benefits and costs of different fire regimes. 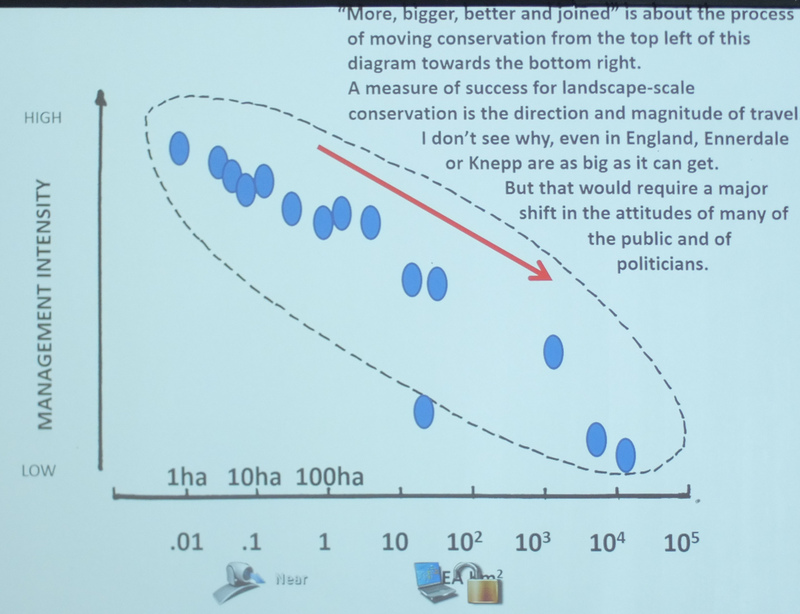 In a strongly-worded critique of our paper, George Monbiot (author of “Feral: Searching for Enchantment on the Frontiers of Rewilding”) suggested we: i) framed our research question too narrowly; ii) made the implicit assumption that moorlands were the “right” ecosystem for the UK countryside; and iii) failed to adequately engage with arguments put forward for cessation of managed burning. Here we critically examine each of these issues to provide further insight into how adaptive, participatory land-management could develop. We argue that a productive debate must acknowledge that complex trade-o s are inevitable during ecological management. Choosing the “right” ecosystem is difficult, especially in a landscape with a long history of human influence, and the answer depends on the values and ecosystem services we prioritize. Natural resource management decisions will be improved if based on an understanding and valuation of the multiple scales and levels of organization at which ecological diversity exists, the role of disturbance in controlling ecosystem composition and function, and the need for participatory action. I suspect Monbiot will pen a response to this paper. Monbiot’s January swaling piece in the Guardian also included my data of heather and blanket bog deterioration in the Plym Valley in south west Dartmoor. The authors of the second paper say of this ‘we would suspect the inappropriate combinations of burning and grazing are more likely to be to blame than the use of burning as part of the management system per se’. I would agree with that. The original May paper is very focused on the northern heather moors where fire is being utilised to manage heather to encourage high density populations of red grouse. It addresses issues such as the severity and frequency of burns but it doesn’t talk about the timing of burns – on Dartmoor swaling can be carried out as late as the 31st March by which time some moorland ground nesting birds have already got nests. On Dartmoor swaling is used to manage heather, gorse and particularly purple moor grass (Molinia caerulea). Unfortunately the paper makes no reference what so ever to Molinia which is now a major problem in many upland areas. It has spread into heather communities and has become dominant. Molinia is palatable to cattle in the late spring and early summer but after that it is generally avoided and the autumn it has turned white creating huge areas of what Ian Mercer described as ‘rafia’. Much of the swaling on Dartmoor now is used to burn off the ‘rafia’ in an attempt to produce flushes of palatable grass the following spring. These new flushes of grass growth attract in the grazing animals both sheep and cattle. This practice in the past led to intensive grazing in these areas which led to the reduction of heather which I referred to in the Upper Plym. Trying to re-establish heather stands in these Molinia dominated grasslands has proved to be very difficult. It has also been established that if Molinia is burnt and then not grazed heavily the following spring by cattle the abundance of Molinia is likely to increase. On Dartmoor today the numbers of cattle have reduced considerably and in most areas where Molinia is burnt the grazing intensity by cattle is now not great enough to reduce it and indeed may be encouraging it. It is not burning alone that is responsible for the spread of Molinia, since the 1900s the aerial deposition via rain of nitrogen (from cars, industry and agriculture) has resulted in critical loadings in the uplands. On Dartmoor between 1989 and 1992, 93.3% of one kilometre squares received nitrogen deposition above the critical threshold. The various nitrogen compounds deposited are fertilisers and encourage plant growth. It is widely acknowledged now that Molinia responds aggressively to increased levels of nitrogen while heather on the other hand does not. If we add global warming into this mix, carbon dioxide levels have now risen to over 400ppm from 260ppm prior to the Industrial Revolution and the average global temperature has increased by over 1 degree. Enhanced carbon dioxide levels promote plant growth when there is sufficient soil nitrogen – in the uplands today there now is sufficient nitrogen, whilst it has yet to be proven it is reasonable to speculate that increased temperatures and increased carbon dioxide levels will promote the increased growth of Molinia. I would like to have seen something about fire and Molinia in the paper, especially as one of the authors is a world authority on Molinia and its control. George Monbiot was called to appear yesterday to the Commons Environmental Audit Committee to give evidence on his views regarding land use and policy re. the recent floods. You can watch his full appearance here – it lasts around 40 minutes. I thought George gave a good performance – it was tailored to the audience as was his attire! 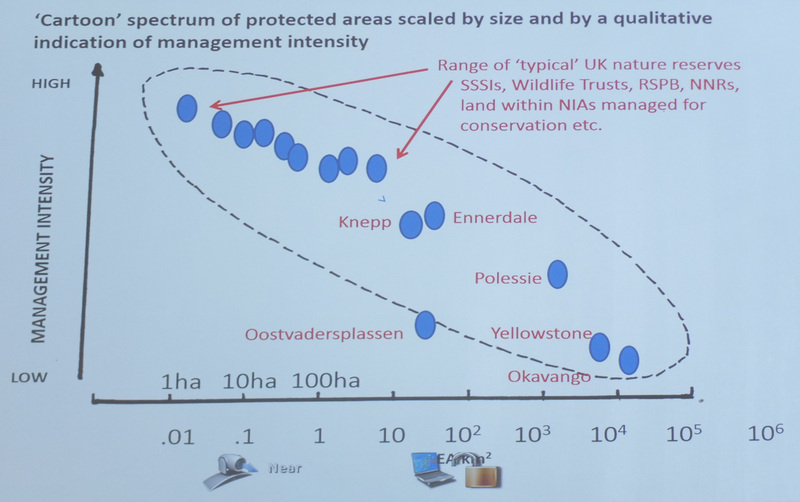 He covered a lot of ground – natural flood plain management, catchment level action, slowing the flow, re-wilding, dam building, beavers, maize cultivation, land use in the uplands etc etc. He spent quite a bit of time talking about the Basic Payment Scheme’s ‘ineligible features’ scandal and I got the feeling the Committee were very interested in what he said. You can get another take on yesterday at the EAC by reading Miles King’s piece here – where he also covers the story that the EAC barred Richard North from giving evidence after initially asking him to speak. Yesterday was a day which had a lot of George Monbiot in it for me! I started my day drinking coffee and scanning various websites and news items – nothing new there then. I then clicked on an article by George in the Guardian (again nothing new there) entitled ‘Scorched Earth Conservation’ – see here. The previous evening I had watched his piece on the BBC Inside Out programme about sheep and swaling on Exmoor – see here -11 minutes 15 seconds in. His Scorched Earth piece is all about swaling and over grazing particularly on Dartmoor and Exmoor. Half way through the piece I read my name and see a series of maps I produced last December when I worked for the National Trust – see here for the link. I’ve got to say although I didn’t know George was going to use my work I’m really pleased that he did – this was a piece of work that was very important to me and the National Trust and something that the NT wants to sort out. I don’t work for the NT any more (as of the 31st December) – I am now a freelance ecologist and campaigner. I worked for the NT for 18 years – it is a brilliant organisation, we didn’t fall out in the slightest but it was just time for a change for me. I’m currently working on a Report for the NT on the ecological changes on their Plym Valley estate over the past 25 years (updating the maps that George used) and recommending what needs to be done to turn things around. I hope to report back on this work in due course once I have completed it. In the evening I attended a talk at the University of Exeter (where I was an undergraduate) by George Monbiot and Alan Featherstone Watson on rewilding. 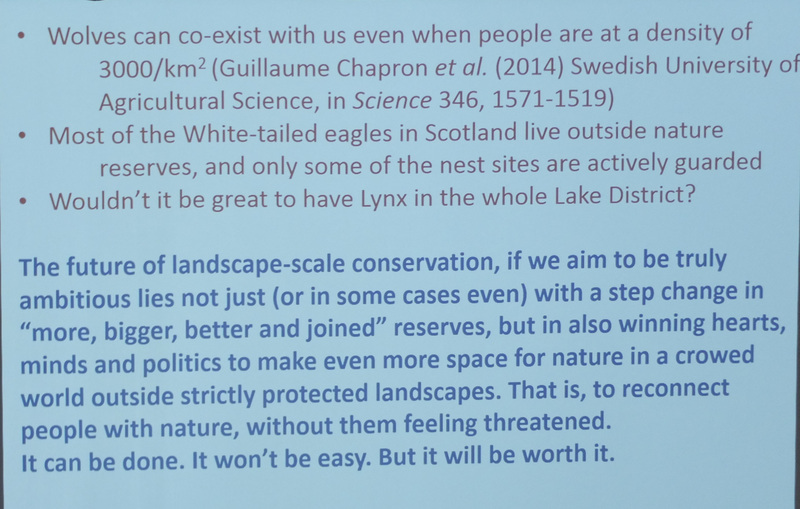 If you are unfamiliar with the rewilding idea – it basically suggests that our uplands particularly, are completely over managed by sheep grazing (sheep wrecked) which George calls the white plague. It would be much better for wildlife and the ecosystem generally if the sheep were removed and natural processes were allowed to occur so that the hills could again be covered with trees and shrubs. The final part advocates that extinct mammals such as beaver, boar, lynx and wolves should re-introduced so that they once again could play their part in managing the ecosystem. For a fuller account of the rewilding ideas of George Monbiot you can watch him speak to the UK National Parks conference last year about his ideas – see here or you can read his book Feral which sets out the entire argument. The argument goes on to suggest that as well as providing habitats much richer in wildlife these rewilded areas would also be much better at protecting and locking up carbon, would provide better supplies of drinking water and would protect areas downstream from flooding. The logic is perfect but the ideas deeply challenge the current status quo and what conservationists have been trying to achieve for over half a century. George Monbiot is pretty rude about what the National Parks and large conservation organisations (such as the National Trust, the Wildlife Trusts and the RSPB) are up to in the uplands. Much of the UK’s wildlife now lives in what are called ‘sub climax’ communities. This means habitats that are managed by people to ensure they don’t develop into the ‘climax’ communities, that is woodland. We are talking here about the uplands, heathlands, chalk grassland, meadows, fens etc etc. I suspect over the coming months and years this topic will be fiercely debated and a new paradigm will emerge as we re-frame the UK’s attitude to nature. You can watch the two presentations from last night here. I am not sure that my report for the National Trust on their land in the Upper Plym will be advocating a rewilding approach because there is an awful lot of politics involved, the Commoners’ livelihoods are at stake and the rich Bronze Age archaeology of the area could be threatened. There are indeed an awful lot of vested interests and legal constraints at play in the uplands. George’s intervention however has created a space for discussion where a much better future environment in the uplands can now be discussed and more radical solutions can be debated. George finished his piece in the Guardian thus – “There is, I discovered, a widespread sense that we cannot go on like this, that we cannot keep destroying in the name of protection. Something has gone badly wrong here, and there is an urgent need for change.” I suspect most conservation professionals agree, most farmers fundamentally disagree and most of the general public are oblivious.